We customize your shopping experience with our gift vouchers, which have a wide range from travel to clothing, food and restaurant discounts, special offer products, workshops to events. 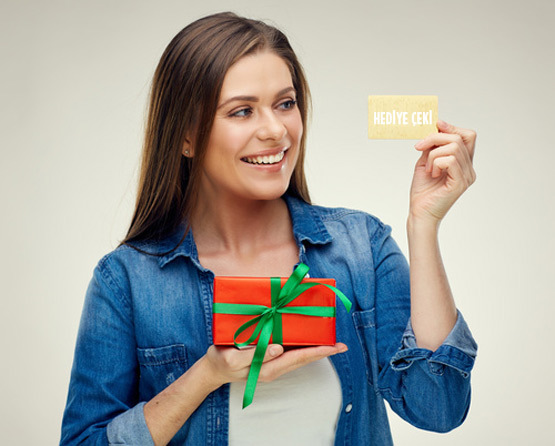 Digital and printed gift vouchers, which offer a rich range of products to members in Loyalty programs, offer a great convenience and advantage both in online platforms and in the market. You can reward your employees, customers, dealers, or business partners with easy-to-use gift vouchers and increase their motivation. We offer more than 120 gift vouchers to our customers and we make it available with instant submission which are giving them the opportunity to make nice surprises to their loved ones whether using the points or whether using credit cards. With the advantageous discounts of a wide range of products, from electronic products to textiles, restaurant-cafe discounts to car service, you can provide benefit to your target audience.